Chimay (Belgium), castle of the princes of Chimay (XIII/XIXth centuries). 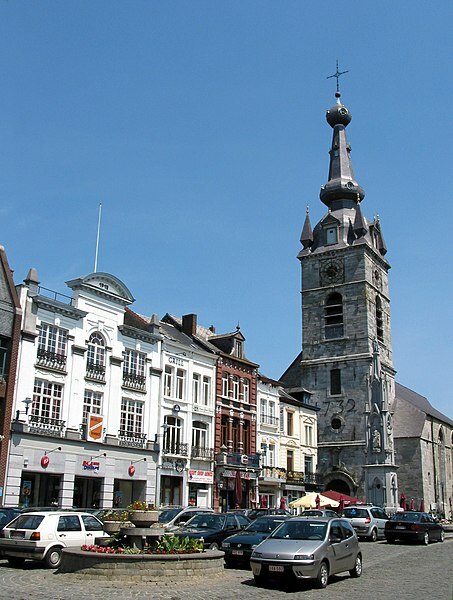 Chimay (Belgium), the fountain of the princes of Chimay (1852). Chimay (Belgium), Place Froissart - Statue of Jehan Froissart (1337-1404). Chimay (Belgique), le début de la rue Rogier. Chimay (Belgium), downtown as seen from the courtyard of the castle of the princes.